We received complimentary GE reveal® products to help us discover how a simple change in lighting can transform a whole room. All opinions are our own. It’s amazing how much we rely on lighting for everything. Obviously, we need lights to guide us in the darkness so we don’t trip over our dogs, fall down the stairs and break a bone. We need it to help us cook so we don’t, say, burn the Carrot soup and set of the fire alarm. It illuminates our books as we read to our children and our pens as we write letters to far-off loved ones. Light plays a major role in our everyday lives. Yet for all the importance of light, we seem to take very little care in selecting the right bulbs to cast illumination. Too often, we grab what is cheap rather than what is beautiful. We think a pack of bulbs for $2 is good enough, then when they die two weeks later, we grab another $2 pack. Usually we go with those soft-white bulbs. The typical. The mundane. The average. GE reveal showed me how quickly the right light can reveal a more beautiful home. 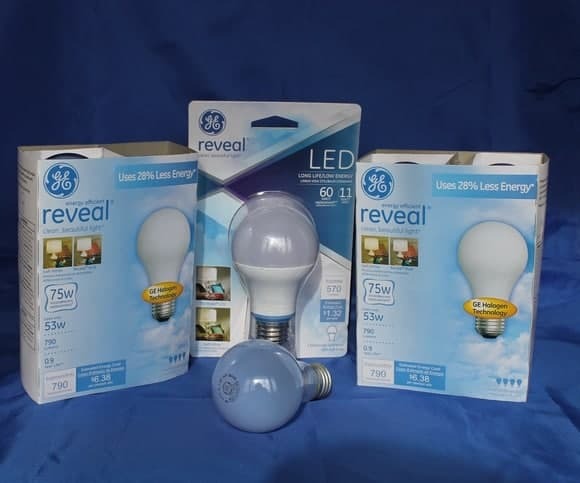 I received enough GE reveal light bulbs to make over a large portion of my house. I used them in the areas we spend the most time: living room, my son’s room and my room. My son’s room was particularly dramatic, as the lighting felt like it was easier on my eyes when I was reading to my son at night. 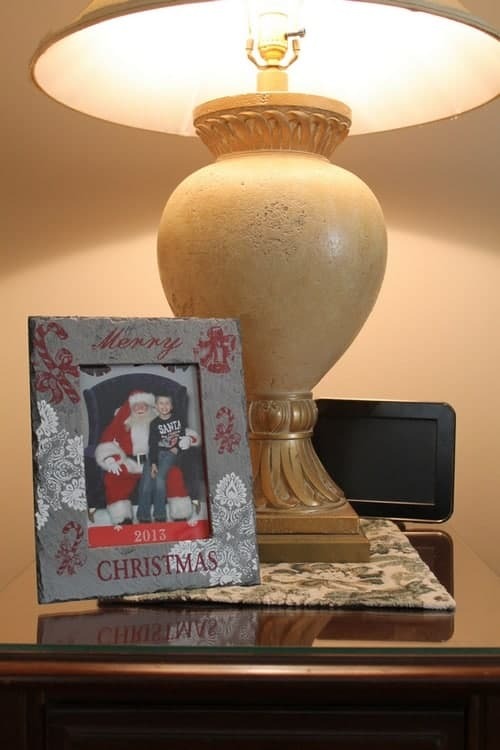 In my room, the pictures on my wall seemed more vibrant and true to life. This is with the GE reveal Energy Efficient bulb. Everything just looks so much clearer! 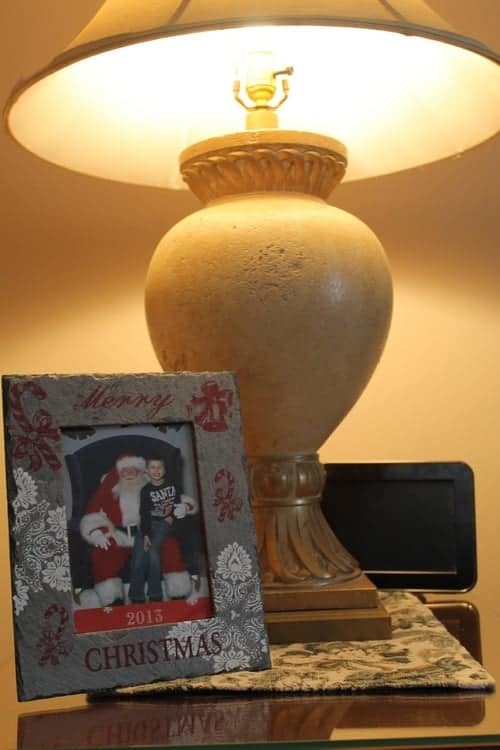 I kept the flash off for both pictures so it would be as close to how it looks in my living room as possible. 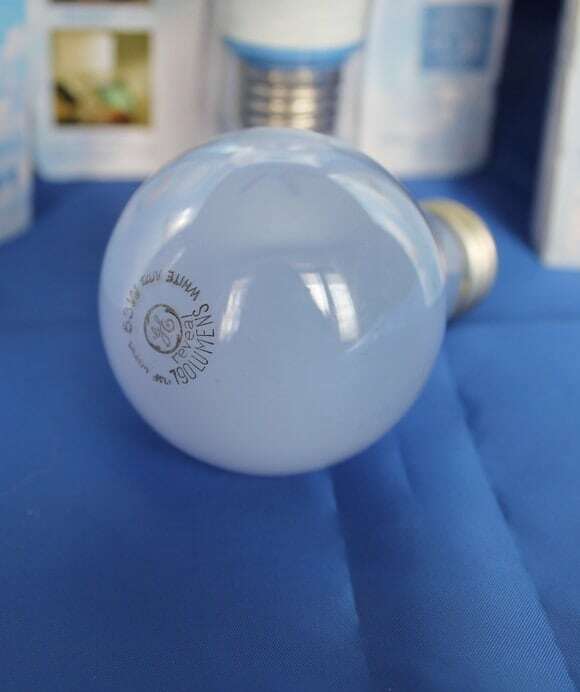 I also received an GE reveal LED bulb. This one is actually my favorite because it filled a major need. My bathroom has two lights. In the front over the mirror, I have those long light bulbs. Then, in the back area where the toilet and shower is, a plain overhead light with a regular bulb. Something went wrong with the front lights. They’re dead. Not the bulbs, but the wires or something. I can’t use them at all as of a month ago. Do you know how hard it is to get ready for the day with cruddy lighting? My shower has doors and one has a mirror, so I’ve been getting makeup on in that section under the dim overhead light. Not conducive to putting on a pretty face! I wasn’t sure where to put the LED light at first, but then I decided to try it in the bathroom overhead lamp. Instant difference! While the front of the bathroom is still dark and dreary, I can actually SEE my face in the back part now! It is so much brighter and more vibrant. I was actually shocked, as I didn’t really think it was going to be THAT dramatic of an improvement. The energy-efficient bulbs saves about 28% more energy over regular incandescent bulbs. That can add up to a nice savings on your energy bill! Turns on right away. This is one thing I absolutely love about the GE reveal light bulbs versus other energy-saving bulbs I’ve used. I don’t have to wait five minutes for them to light up all the way. Just flick the switch and the light comes on. LED bulbs use up to a whopping 80% less energy and come with a 5-year warranty. Longer-lasting bulbs, which mean you save money in the long run. I am totally a GE reveal convert. I’m loving seeing everything in a whole new light, so to speak! Try it for yourself and discover the difference. What room would you like to brighten up a bit? We haven’t tried these yet. The Reveal sure does look like it makes a difference in your photos. Are the wattages the same too? A 5 year warranty sounds like a good thing, I hae when bulbs blow after only a short while. We use some GE Reveal bulbs in our house. Not all (yet) — but some of our other brands’ bulbs burned out within 2 years, totally not as promised. GE bulbs are holding strong! An 80% savings and they last 5 years – seems like this would be perfect for our house. I need to tell my hubby about this. I like the before and after pictures. I can see the difference!! This is definitely something worth taking a look into. Change is good! Wow, what a difference in lighting. I am quite amazed. I love these bulbs. I have cataracts and these cause so much less strain on my eyes. I love these bulbs they have really improved the lighting in my photos! The Light Is Great In These Bulbs Love Them!! I love GE bulbs. They are the only ones me use. LOL SO we don’t trip over our dogs. Love that line! I’m a huge fan of these light bulbs, we have them throughout the house. There is differently a better difference. We try to only use energy efficient bulbs at home. We love these from GE too. I have some of their energy efficient bulbs in my house. They are great! I LOVE these bulbs! Isn’t it crazy how much different everything looks when you use them?